Oh, the nerve!! Actually, nervetti. Wait, what? What does that have to do with food? I thought eating good food warms the heart?! Okay, enough with the mystery. 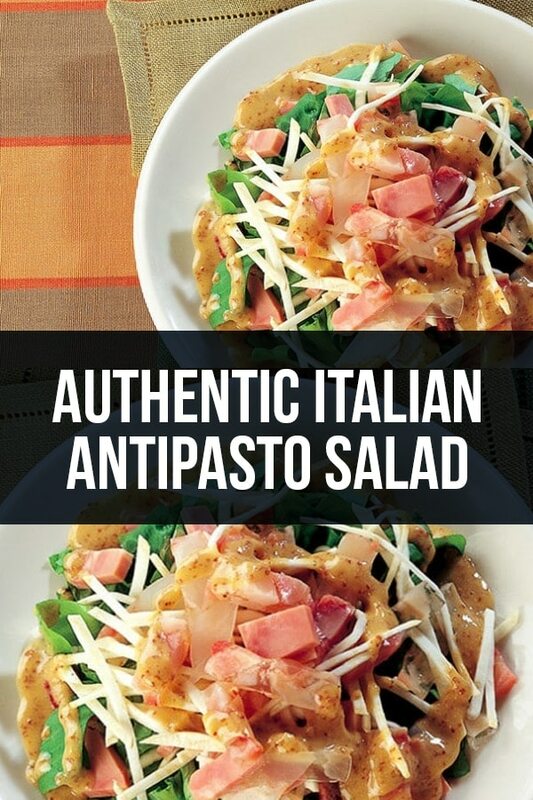 Today, we’re going to talk about an authentic Italian antipasto salad recipe also known as insalata di nervetti. But what exactly is that? Veal shank—tendons and cartilage, to be more precise. A typical antipasto for the region of Lombardy, it was a dish commonly served in bars, to accompany the drinks back in the old days. Tasty and served at room temperature, it’s once again a dish that embodies our philosophy of not wasting anything. We’ve seen that happen with countless dishes—from meatballs to the minestrone and the wedding soup. Most recently, we spoke about our mission in the kitchen of not wasting anything, when we showed you that chicken cacciatore recipe. It’s an unlikely dish. It’s a weird salad. You will probably wonder throughout the making of it if it’s actually edible. But really, we vouch for it, and once you eat it, you will too! To prepare the nervetti salad, first you need to wash the veal shank thoroughly. Use a butcher knife to divide the shank into large pieces. Wash the celery and carrot and also cut them into pieces. In a large pot, add the previously cut vegetables and meat, then add the bay leaves and pour plenty of water over them. Add the salt, black pepper, and white wine vinegar, then bring to a boil by covering with a lid. Cook over low heat for about two hours, keeping the lid on the pot and drain the shank pieces, once the period is over. Leave them to cool in a container. Pick the meat off the bones using your hands and cut them into thin strips (this is what is known as the nervetti). Place them back in the container for an hour. Cut the onion and peppers into thin slices, then add them over the container where your meat strips are. Season with oil, salt, and black pepper, then mix it well. Wash and dry the parsley, chop it finely, and add it to the salad, alongside the vinegar. Mix again. After the ingredients are well blended, the salad is ready to be served.